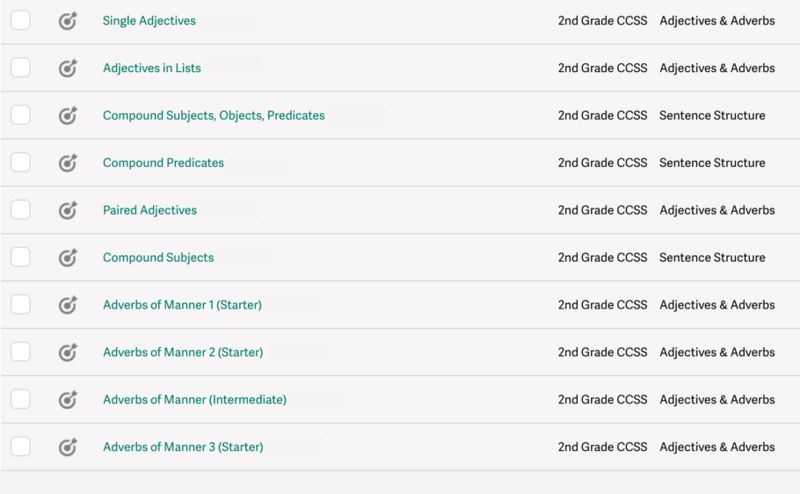 Help your students advance from fragmented and run-on sentences to complex and well-structured sentences with Quill Connect. Using the evidence-based strategy of sentence combining, students combine multiple ideas into a single sentence. They then receive instant feedback designed to help them improve the clarity and precision of their sentences. In the prompt, students have to join together four ideas. There are many different ways of joining these ideas together, and Quill serves feedback on hundreds of potential answers. Here is a student’s progression from the first attempt to a strong sentence. The student used and to join the sentences together. This is a very common pattern for emerging writers. Quill breaks this pattern by challenging students to revise their work. While using and is grammatically correct, it is not the strongest way of conveying the relationship between the ideas. Students must express the causal relationship here, an important step towards conveying complex ideas. The student showed the correct relationship but left out the comma. 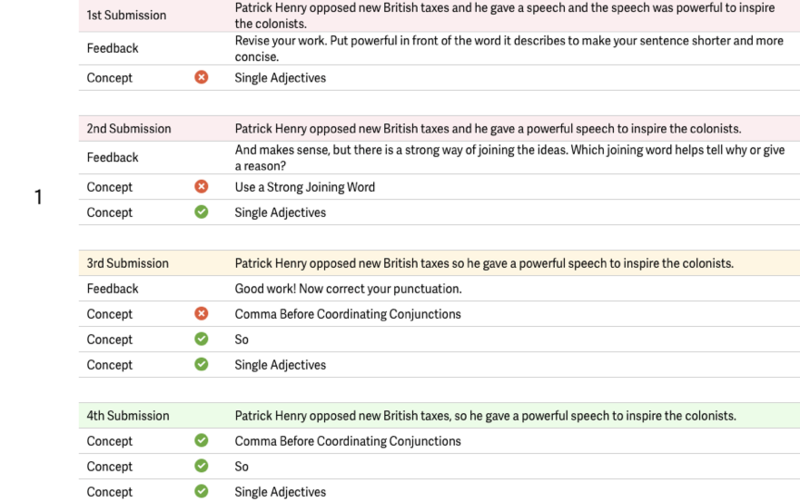 Quill provides feedback and shows a model sentence to help guide the student. The student wrote a clear and concise sentence! 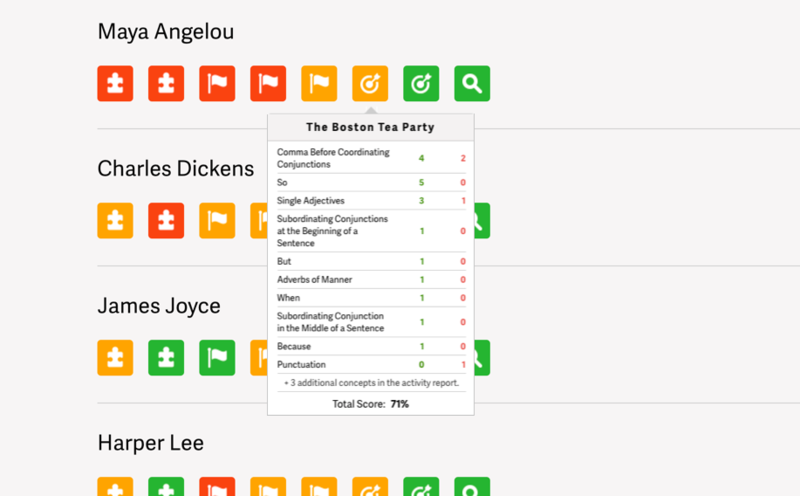 Quill provides additional feedback to reinforce what the student learned. Teachers can use their scorebook report to quickly see which concepts the student mastered and which ones the student needs to practice. Teachers see reports that state exactly which errors the student made and which concepts the student mastered. 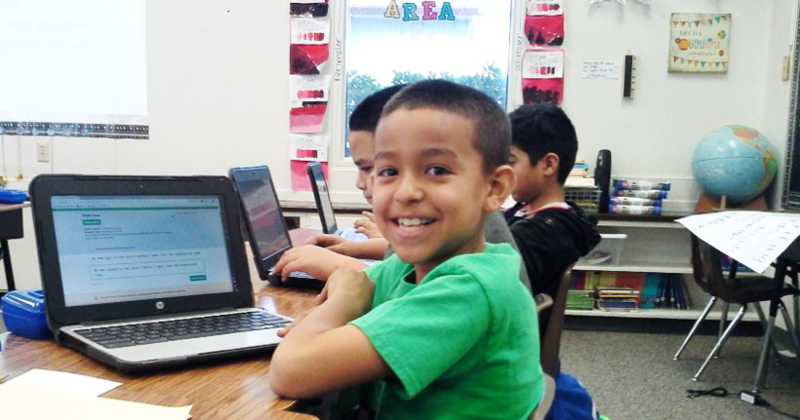 "Quill has been a wonderful tool for my third graders, many of whom are second language learners. We especially love the immediate feedback provided after each practice; it has definitely made us pay closer attention to detail. Quill has greatly contributed to our growth mindsets this year!" Sign up to start Quill Connect in your class today!